Worshiping in spirit and truth; can we all agree? The best Savior, For you, for me. “The Passion” was released in time for Holy Week observations 2014. It is a compilation of Michael Schroeder’s best passion-filled songs together with a few new pieces. One thing that I enjoy about Michael’s CDs is that in one way, they remind me of vinyl album releases back when I was a teen. I remember the actual buying of an album to be such a fun experience because when you got home and opened it up, you were treated to an array of album artwork, printed lyrics – sometimes there were even messages from the artists; but the real treat was if a poster was also included. Michael’s CDs, at least his last two, contain little gems that harken back to these fond memories of opening up a new album. 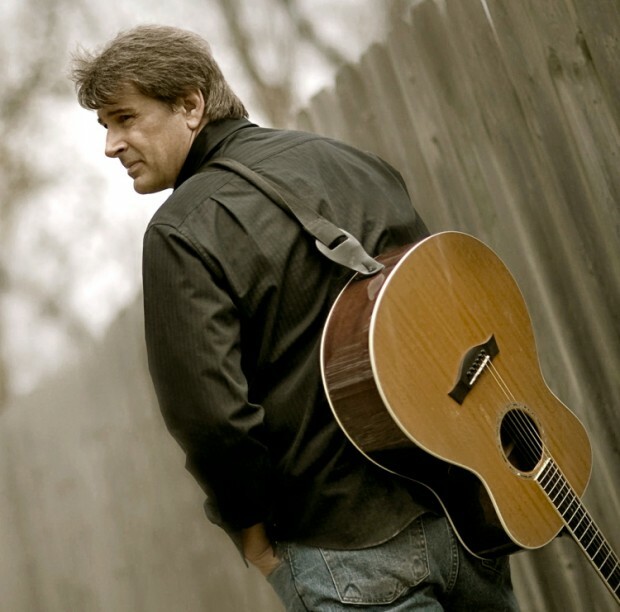 His last CD, titled “Worship” contained two discs: (1) the music CD and (2) a bonus disc of backing tracks to be used in a corporate worship setting. The 2-CD package also included all the lyrics together with an exhaustive list of scripture references and an article on Michael’s thoughts relating to worship. 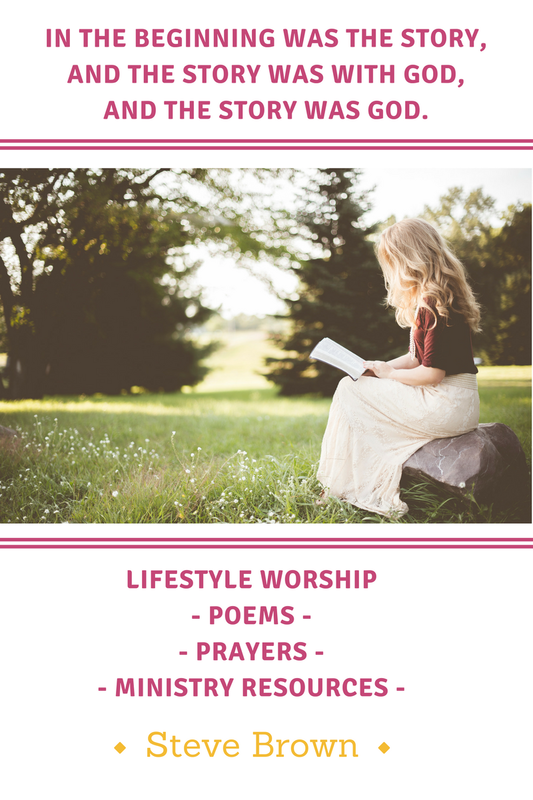 The “*” next to some songs are what I would classify as “congregational friendly” – meaning these can be sung in corporate worship if you have a good enough worship team to pull-off the accompaniment. All of the songs are a pleasure to listen to and nicely produced. The CD cover art is a simple, delicate, pink poppy – a symbol of sleep (remember in the Wizard of Oz), peace, remembrance, life lost and the promise of resurrection after death – perfect for a Holy Week compilation! Do you see any other symbolism? There is one more important element. Look closely and open up your mind and think about Holy Week and your savior. It will come to you. Rather than provide a critical commentary on each song, I will concentrate on the two newbies – “The Nails” and the remake of “Jesus Christ is Risen Today“. The Nails is obviously a passionate piece for Schroeder as it is sung with great feeling and emotion. I think this is so important in worship. Charlie Chaplin, was once quoted as saying: “we tend to think too much and feel too little.” I think he’s right. If us worshippers could harness this emotion in our corporate singing, God would be greatly glorified and we would also sound a whole lot better! Music is meant to be felt. We are not stones. Like Jesus, we are passionate people. I am pleased that Schroeder sings with heart-felt emotions making these lyrics his personal testimony to his Savior. In the church, we call this “inwardly digesting the lyrics”. Lyrically, the song hits deep, as most of Schroeder’s songs do. It strikes a ringing minor chord in my heart. It is a perfect song for Good Friday as it captures the essence of this incredible substitutionary sacrifice – for You! And for me! The new arrangement for “Jesus Christ is Risen Today” to me, is only recognizable with the singing of the title line followed by Alleluia. There are plenty of new lyrics, new progressions, new instrumentation, a new groove, new, new, new… to make this a joyous pleasure to listen to. I guarantee that you will be smiling and tapping your foot within a few seconds of listening to this piece. What’s really special to me is that I love the original hymn and when this is the case, I just don’t like it when people mess around with them. Leave them alone! They have survived a few centuries for a reason! What I do like, is when it is changed so much that it takes on a new life and this is exactly what happens with Schroeder’s arrangement of the classic hymn. It does have a new life and a new meaning. You will just have to hear it for yourself. On a closing note, check out the pinnacle of the song titled “Paradise“. You will know the pinnacle moment by the pitch of one exemplary high note. I’m guessing it’s at least a very impressive high G note. It does it’s job. It draws attention to the lyrics and after all, our music is supposed to serve the word, right? It strikes me that this CD would be a great confirmation gift or a good subject matter for a teen bible class! 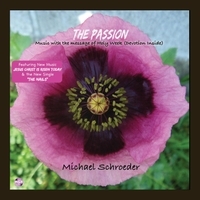 You can read all the lyrics, watch a few videos, and purchase the Passion CD at michaelschroeder.com. 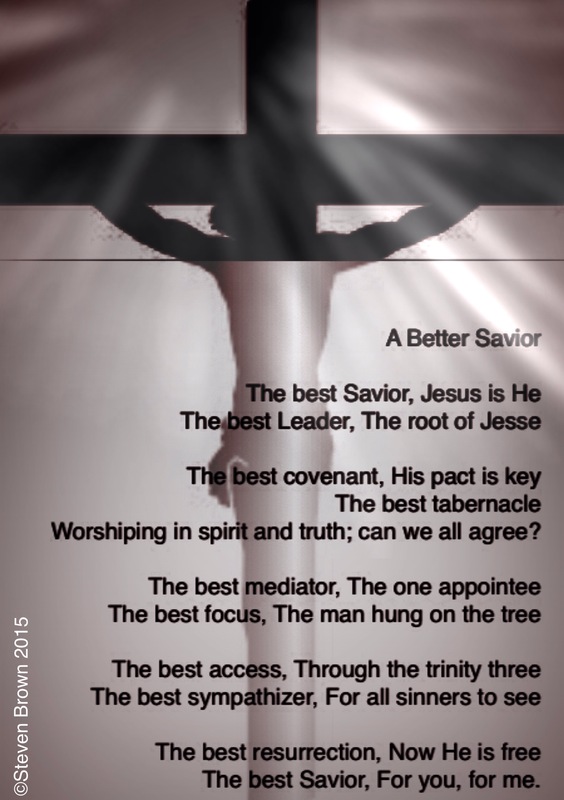 Throughout the book of Hebrews, the author uses the word “better” as he portrays Christianity as the one true religion, and Jesus Christ as the one true Savior from sin (Heb 6:9; 7:19; 7:22; 8:6; 9:23; 10:34; 11:4; 11:16; 11:35; 11:40; 12:24). The author uses similar comparative words like “greater” (Heb 3:3; 6:13; 6:16; 7:7; 9:11; 11:26) and “superior” (Heb 1:4; 8:6) to demonstrate the supremacy of Christ to anything in the Old Testament. The book of Hebrews is full of allusions to the Old Testament which will allow the preacher to explain some of the factors that were important to Old Testament believers, but may be relatively unknown to our people today (i.e., the tabernacle, the covenant, the sacrificial work of the priests, the work of mediating done by Moses and the priests, etc.). Preachers have the opportunity to take their people back in time so that they might learn to deeply appreciate the Old Testament. Then preachers can lead their people to reflect on the great changes Jesus brought about when He fulfilled the Old Testament laws and the promises of the old covenant. The theme of A Better Savior allows the preacher to make a comparison each week to something special from the Old Testament that was a picture of forgiveness for God’s people. But God did not work forgiveness through these means, because it was impossible for animal blood or the observance of rules and regulations to remove the stain of sin from people (Heb 10:4). Rather, everything in the Old Testament pointed ahead to Christ whose perfect sacrifice would remove all sin. That’s because He is the better covenant, the better sacrifice, the better mediator, etc. With this Lenten theme, it would be easy to overlap ideas in order to bring other pictures from Hebrews into the sermon. However, each sermon theme almost demands that the preacher stay focused on that specific theme and carry it throughout the sermon. 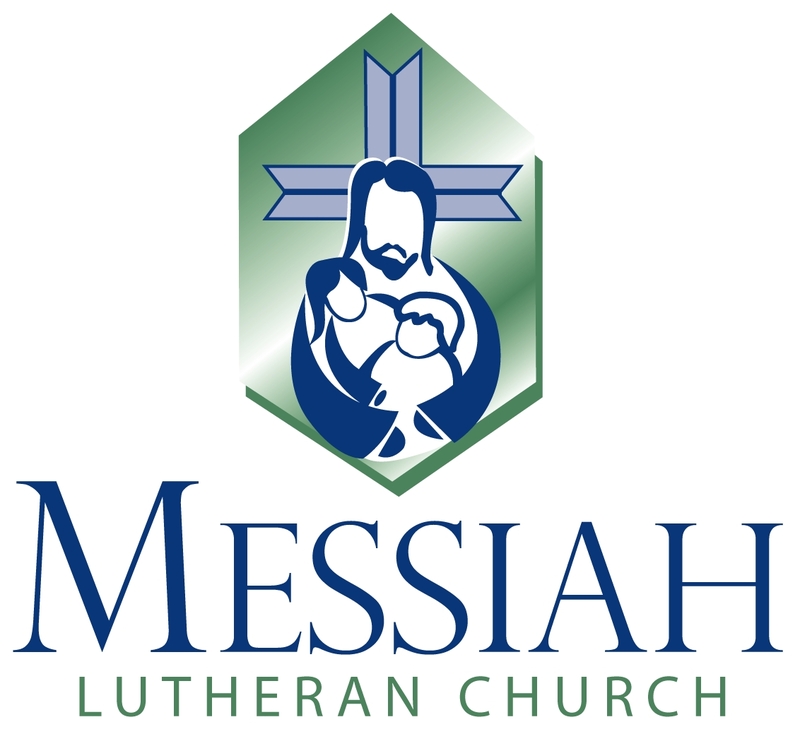 Each service resource contains a sermon theme, text, suggested Psalm, Psalm prayer, and suggested hymns (from “Christian Worship – A Lutheran Hymnal” and the “Christian Worship Supplement.”). Sermon thoughts: The preacher may want to change the theme to “Better than Moses.” The writer to the Hebrews steadily makes the argument through his epistle that Jesus is superior to anyone and anything. He turns his attention to the Israelites’ leader, Moses. It would have been difficult for a Jew to think of anyone greater than Moses, their great leader who led their nation out of slavery in Egypt, who led the Israelites through 40 years of desert wandering, and who brought their nation to the edge of the Promised Land. Jesus’ superiority to Moses was not a matter of faithfulness, but position. Moses was only part of and servant to the house of Israel. Christ (the first time the author uses that title is in chapter 3) is greater because He is the “Son over God’s house.” He owns the house and rules over it – not in the distant past, but in the present reality and into the eternal future. Lord Jesus, you bring light to those who dwell in darkness and make your love known to them. Enter not into judgment with your servants, but strengthen us in the saving faith and guide us into the land of perfect peace where with the Father and the Holy Spirit you live and reign, one God, now and forever. O most merciful Lord, hear us in the truth of your salvation, that, delivered from the filth of sin, we may be written in the Book of Life by your heavenly finger; through Jesus Christ our Lord, Amen. Sermon thoughts: Though the phrase “a better high priest” is not specifically mentioned in Hebrews, throughout the book, the writer makes the comparison between Jesus and the high priest. He specifically makes a comparison between the mysterious Melchizedek and Jesus Christ. The preacher may even want to focus on that comparison with the theme of “Better than Melchizedek.” In Hebrews 5:6, the writer references Psalm 2. Jesus is a high priest who is far greater than Melchizedek or Aaron or any other high priest, for He was appointed forever. He combines both a king’s power and the priest’s sacrifice, just as Melchizedek did in the days of Abraham. Lord God, you anointed your Son to be king for the sake of your Church. Help us, as members of his kingdom, to serve him faithfully and to come to the full knowledge of his grace and glory, who lives and reigns with you and the Holy Spirit, one God, now and forever. Sermon thoughts: How inadequate the sacrificial system of the Old Testament was. No matter how much animals’ blood was spilt, it could not erase the sinner’s guilt. Only one perfect sacrifice could do that – the sacrifice of Jesus Christ, the perfect Lamb of God. This sacrifice was made once and for all. Christ was both the priest and the sacrifice. Here the preacher will want to focus on the sacrifice, since another preacher will focus on the priestly aspect of Christ. 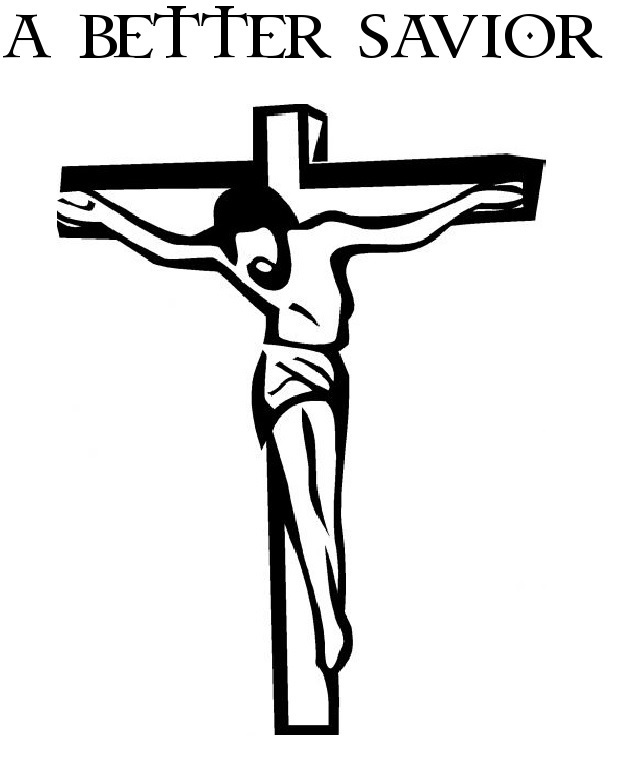 Father, when your Son hung on the cross, he cried out to you in agony and grief. You gave him the strength to endure so that death might be destroyed and life restored. Have mercy on us all our days and preserve us in true faith unto life everlasting; through your Son, Jesus Christ our Lord. Sermon thoughts: The preacher may also reference Hebrews 7:22. The old covenant was replaced, not because it was imperfect or flawed, but because it was inadequate and incomplete. God’s covenant through Moses was a two-sided covenant. God told the Israelites that if they obeyed Him, then certain blessings would follow. But the covenant did not give the people the power to keep God’s Laws. Jesus Christ came to fulfill and complete the old covenant when He pronounced from the cross, “It is finished!” Jesus then replaced the old, conditional covenant with a new, unconditional covenant. Lord Jesus, when you rose victorious from death, you gave us a day of great rejoicing. The stone that the builders rejected has become the cornerstone of our faith. Let cries of joy and exultation ring out to celebrate the good news of your resurrection, for you live and reign with the Father and the Holy Spirit, one God, now and forever. Sermon thoughts: The preacher can demonstrate the sharp contrast between the superiority of the tabernacle in which Christ serves as high priest and the “man-made” tabernacle used by the Jews. Though the tabernacle was an inanimate object, God still considered it tainted by sin. Therefore the high priest had to sprinkle blood both on the tabernacle and everything used in its ceremonies. Plus, the high priest had to enter the tabernacle every year. Christ came from a more superior tabernacle from heaven. Plus, he offered one sacrifice of His blood to purify everything. Almighty God, grant that during our earthly pilgrimage we may so treasure your Word and sacraments that being nourished in faith we may one day dwell in the courts of heaven to praise you forever; through your Son, Jesus Christ our Lord. Almighty God, bestow your peace on those who walk in the courts of your house, and pour out your blessing upon those who dwell in the house of the Lord; through Jesus Christ our Lord. Amen. Sermon thoughts: The themes of covenant, priest, Moses and sacrifice are already covered by other preachers. The focus of this comparison is that Jesus is a better mediator. As the mediator, Christ was the go-between of two parties – the holy and righteous God and sinful mankind. Moses and the priests often acted as mediators between God and man. They would take the blood of the animals to bind the people to the regulations of the covenant. As mediators, Moses and the priests would ask God to soften His anger. They would also give God’s people the Lord’s message. Jesus is the perfect mediator of Hebrews 8:6, 9:15-22 and 12:24. He is the arbiter between us and God with His perfect sacrifice on the cross. He continues to intercede for us in heaven. He was once and always will be our advocate. God of might and compassion, open your ears to the prayers of your people, who wait for you. Do not leave us in the depths of our sins, but listen to your Church pleading for the fullness of your redemption; through Jesus Christ our Lord. God of mercy and might, through the resurrection of your Son you have freed us from the anguish of guilt and the bonds of death. Be with us on our pilgrimage and help us glorify you in the presence of all your people; through Jesus Christ our Lord. The Christian life is an endurance race. We run with continued preparation and proper focus. The saints who have gone before us and have already finished their race are an encouragement to us. But most of all, we look to Jesus and His cross. He is the author and perfecter of our faith. In Him, our race is already won. This lesson also helps us keep our focus as we anticipate the celebration of the Three Holy Days (the Triduum). Under the old covenant, sinners dared not come through the curtain to enter into God’s presence in the Most Holy Place in the tabernacle. But Jesus has torn that curtain in two, thus giving us sinners access to God’s holy presence. This access comes not by blood sprinkled on a door – like the blood of the Passover lamb sprinkled on the doorframes – but by Christ, the perfect Passover Lamb, sprinkling His blood on our hearts and sprinkling His baptismal waters on our bodies. All the barriers have been removed so that we may approach the God of the Covenant in the full confidence of forgiveness. The theme of the better high priest has already been proclaimed in the Lenten series from Hebrews 5:1-10. These three verses of Hebrews 4:14-16 give the preacher the opportunity to preach how Jesus Christ is not only true God, but also true man. Jesus knows what we face on a daily basis because He was repeatedly tempted, yet He remained without sin. From experience He knows what we are going through and we receive comfort from the fact that He is able to sympathize with us in our weakness. We also find our confidence in Him because He is not only able to sympathize with us, but He is also able to help us in every need. Women like the widow of Zarephath, the Shunamite woman and the widow of Nain, all received their children back from the dead. Lazarus, Eutychus and the daughter of Jairus all came back to life, but they were all subject to death. Christ promises a better resurrection. The list of martyrs in Hebrews 11 prized the resurrection to come as far greater in value than their earthly lives. I would like to thank Pastor Zarling for sharing his work. He truly has a generous servant’s heart. You might want to consider the two following youtube videos for use on Maundy Thursday or on Good Friday if your church uses imagery and videos either in worship or maybe during a pre-worship meditation/preparation time. Even if you don’t use videos in worship, these are also good for use in bible class. Both of these videos were created by the original artists and come with their permission for use in your church.